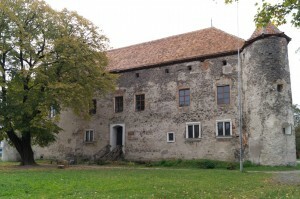 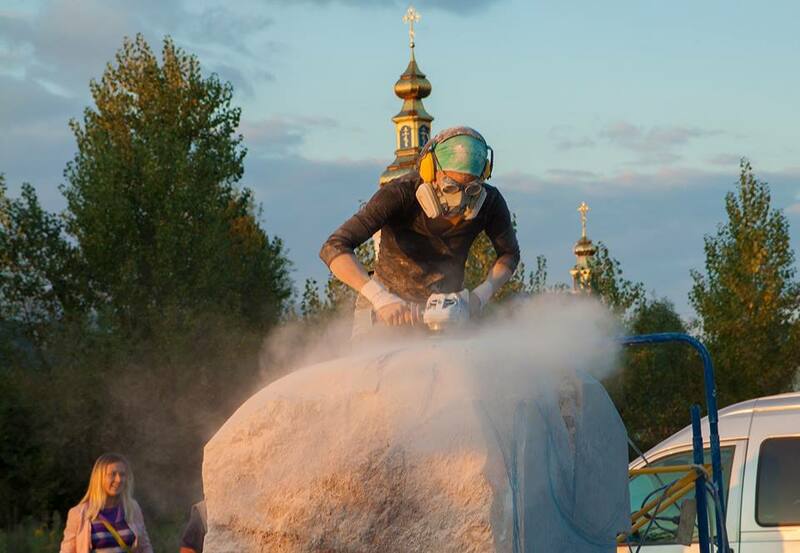 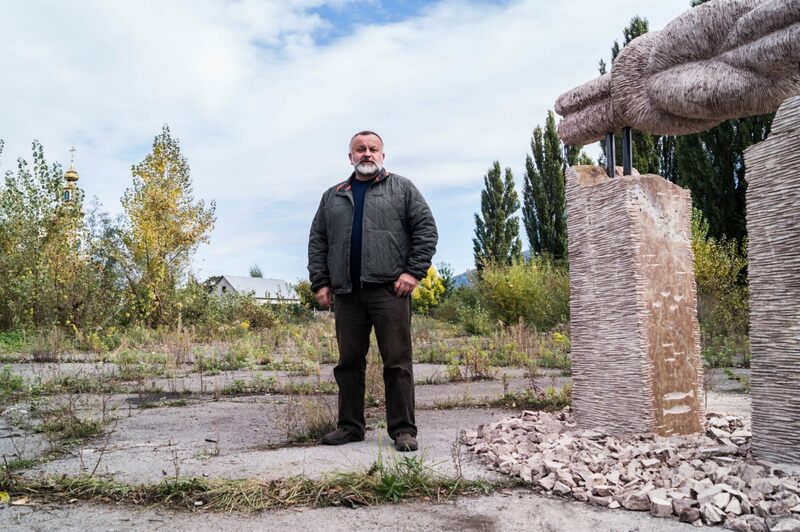 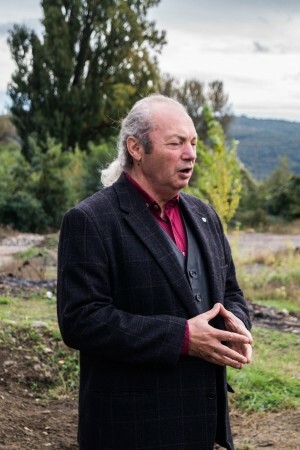 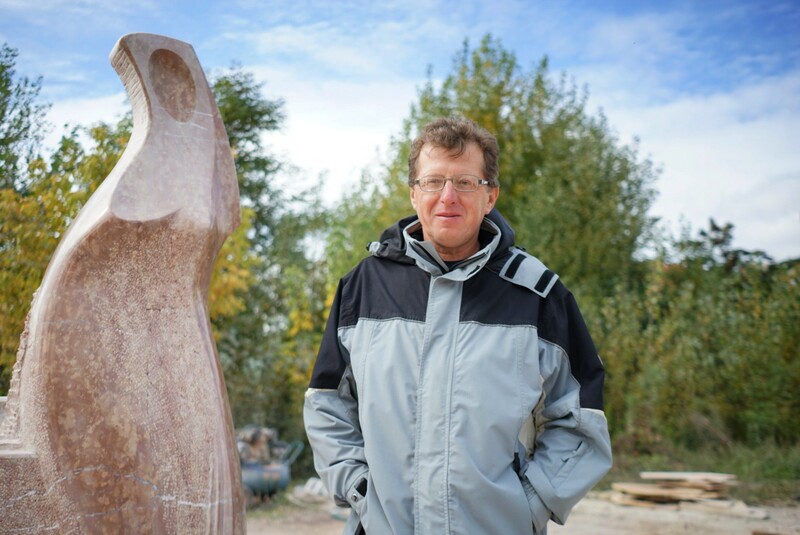 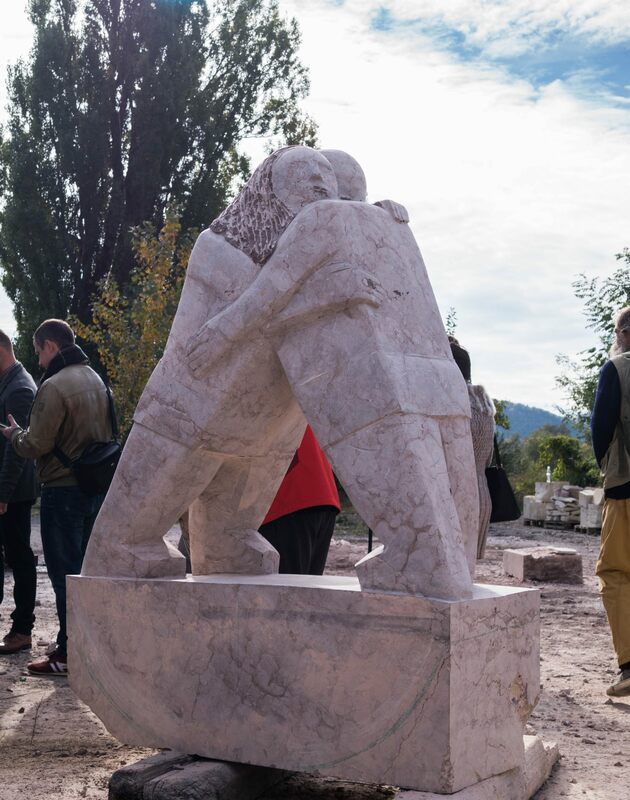 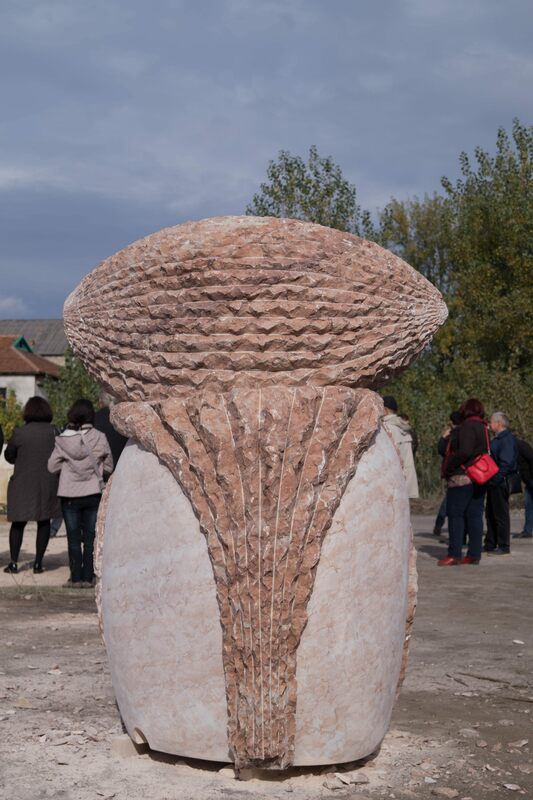 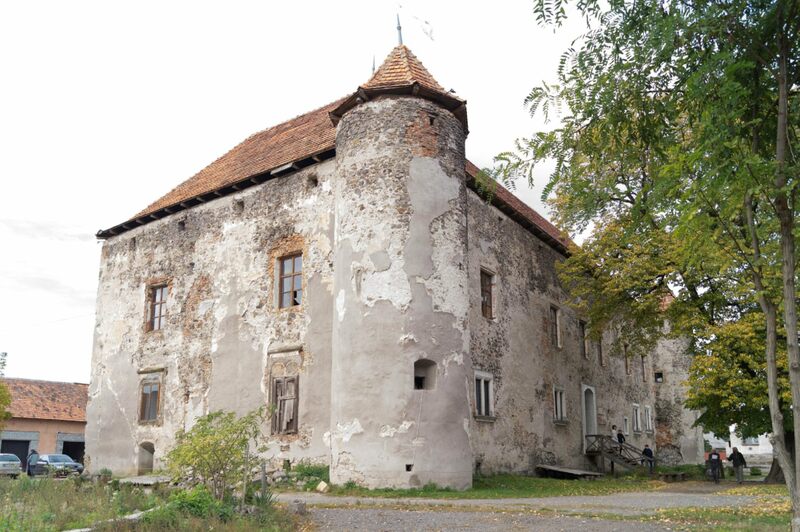 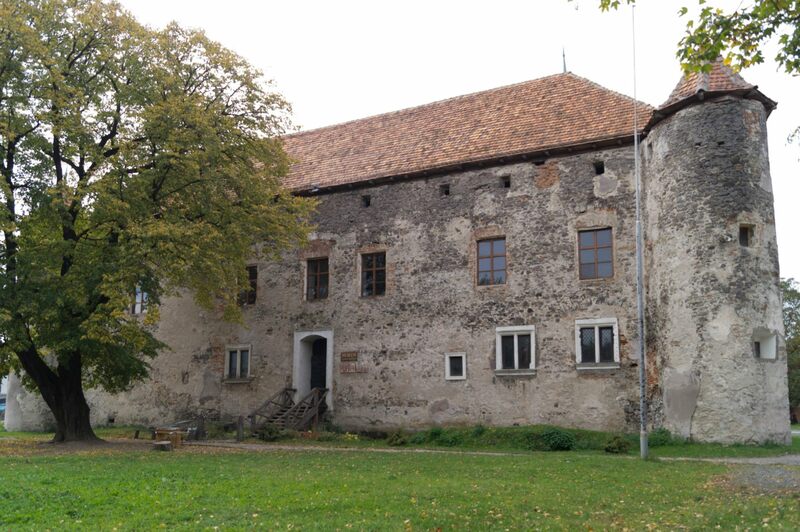 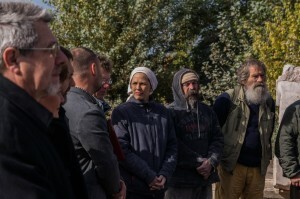 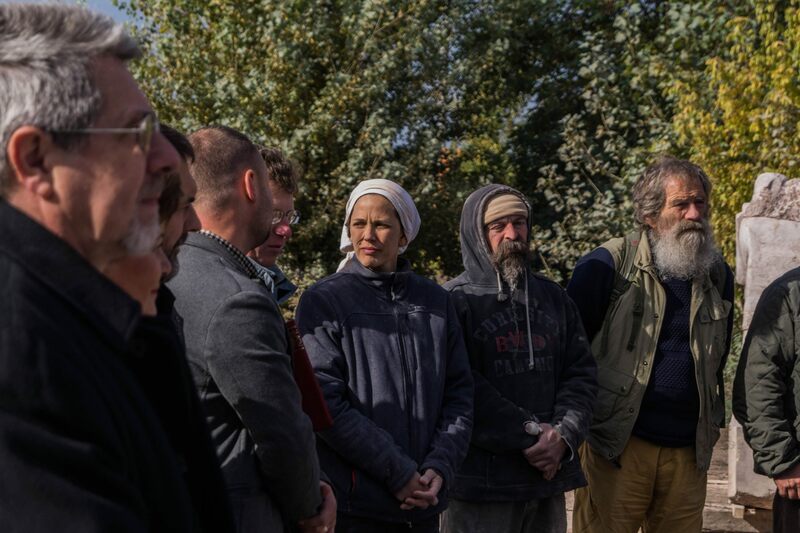 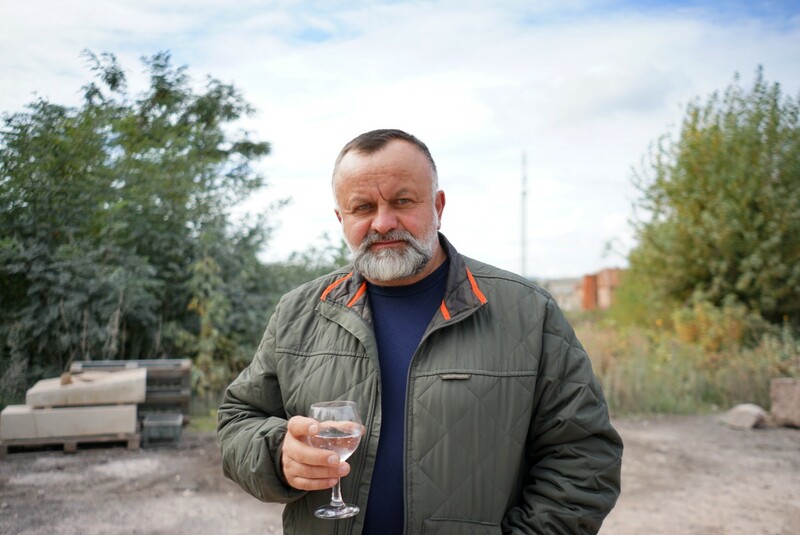 On 8 October in the ancient castle "Saint Miklos", which is in Chynadievo, Mukachevo district, it was organized the presentation of the sculpture by Mukachevo public association Pro-Arte on the shore of the Latorytsia River. 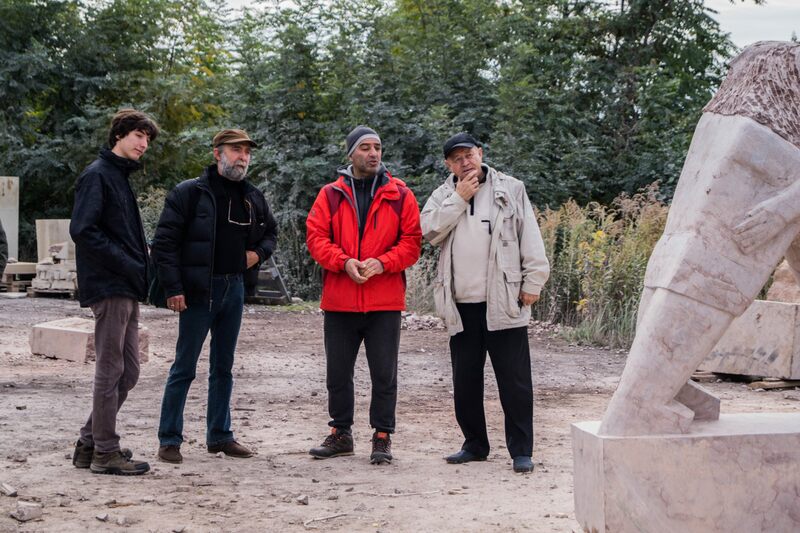 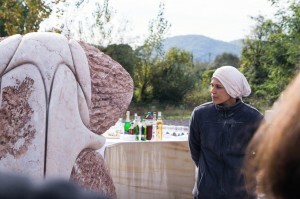 The event was held within the framework of the IV International Symposium of Sculptors. 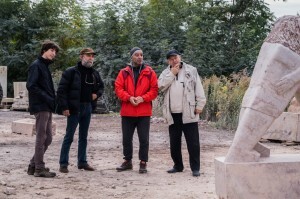 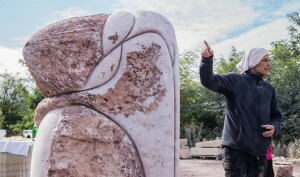 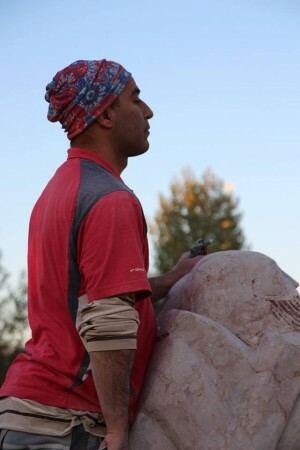 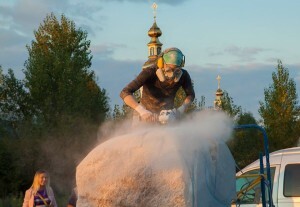 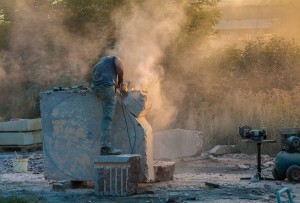 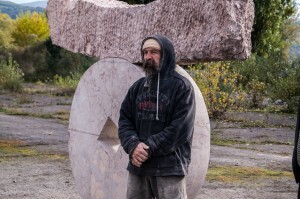 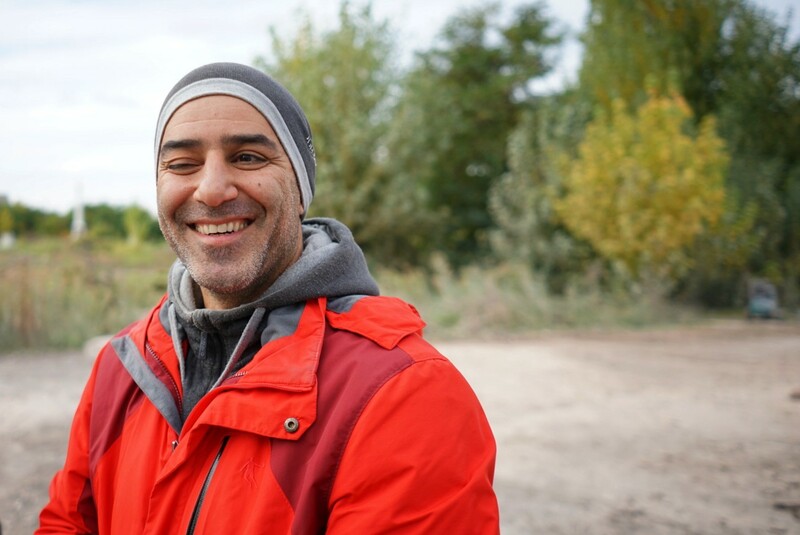 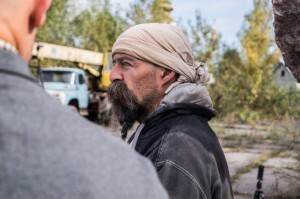 During the week, the sculptors from six different countries, namely Ivan Demian from Transcarpathia, Piotr Zbrozek (Poland), Ole Videbaek (Denmark), Rea Marmentini (Spain), Balanyi Zoltan (Hungary) and Saeid Ahmadi from Iran, who has been already living in Kharkiv, were creating their masterpieces. 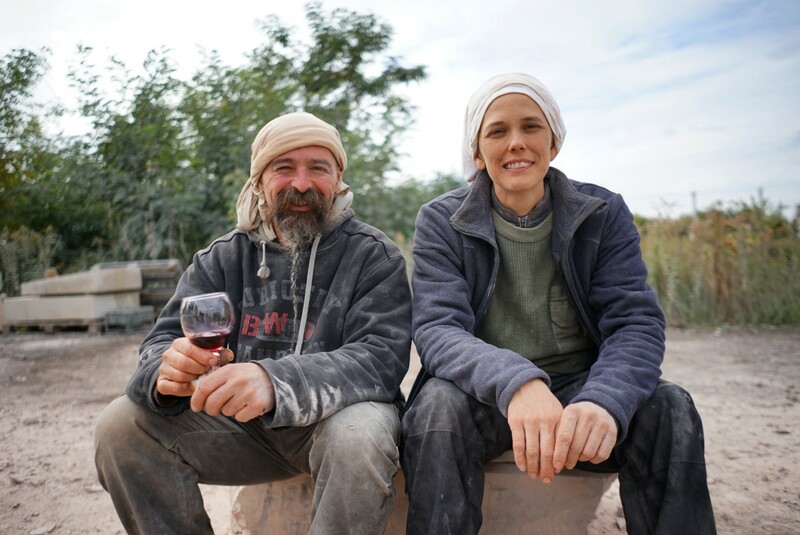 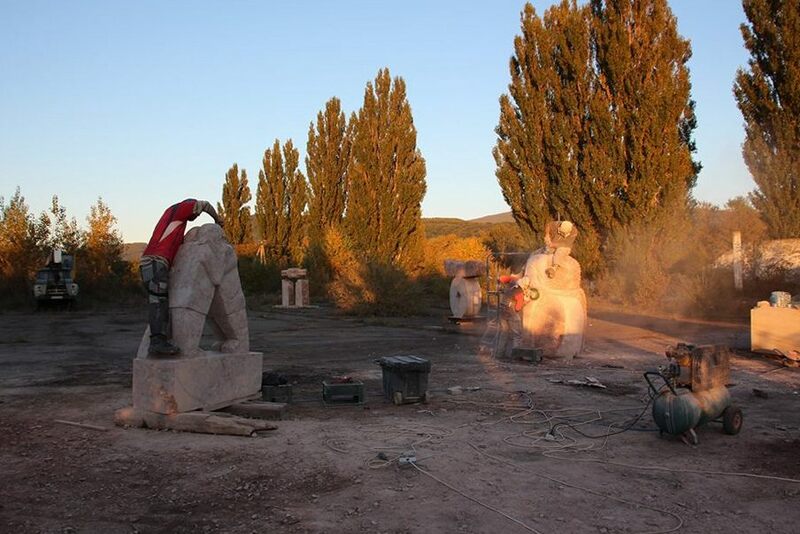 The artists were working during 2-7 October. 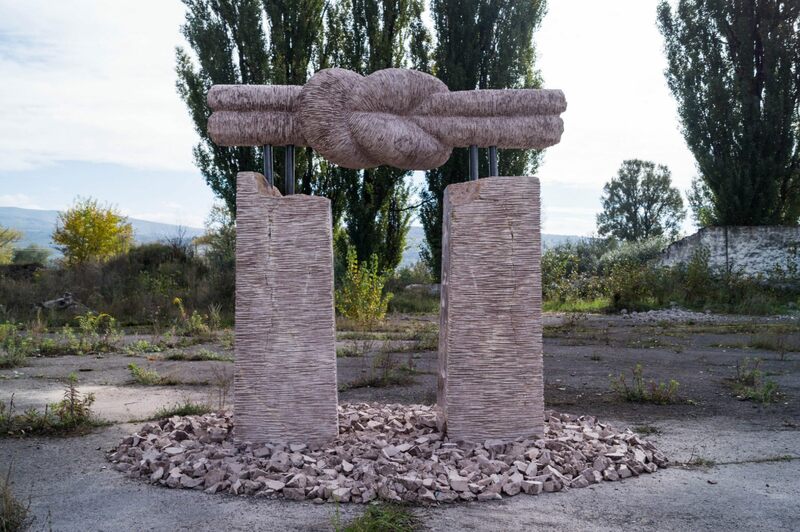 The theme was set for everybody – to create a work that will symbolize the friendship of peoples and nations. 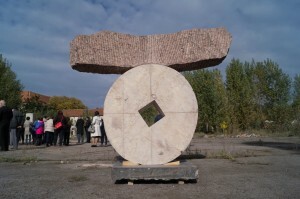 That is to portray a bridge - the bridge between cultures, peoples and countries. 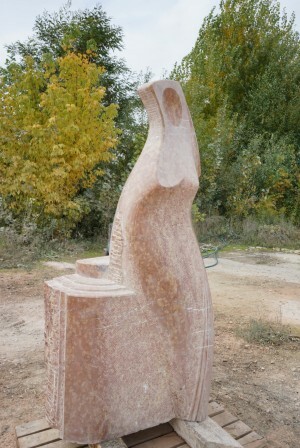 Ivan Demian created a sculpture of a slim stylized teacher surrounded by the books. 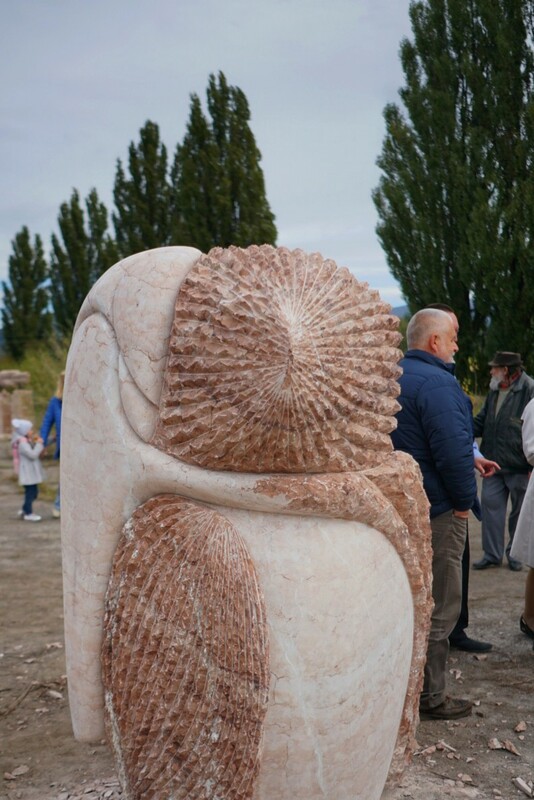 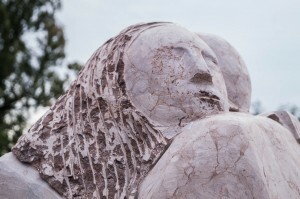 The sculpture symbolizes the bridge between cultures and generations. The work itself was made of Transcarpathian marble, although the artist usually works with wood. 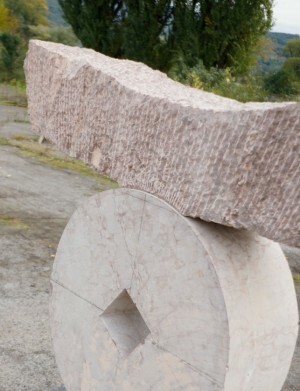 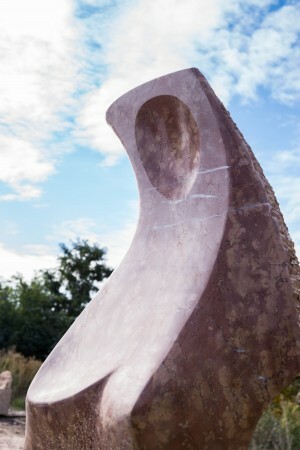 The author chose an interesting technique – he combined both polished and non-polished material. 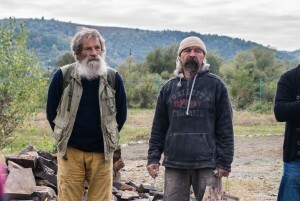 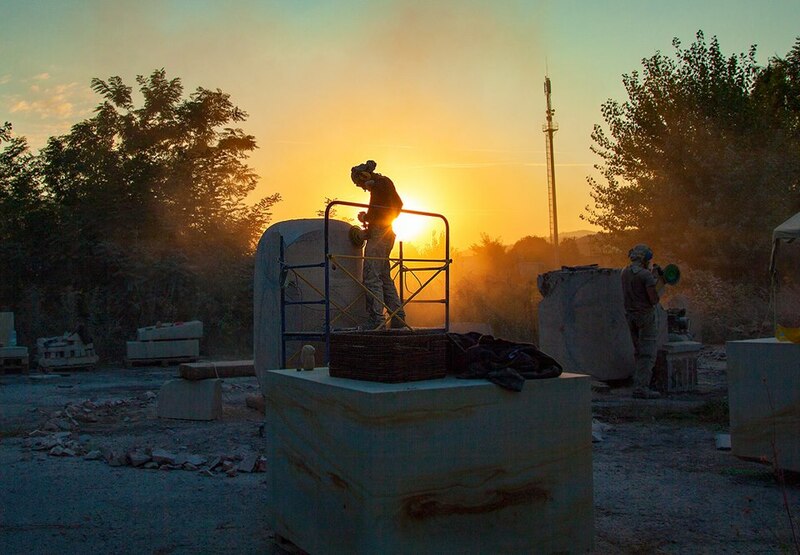 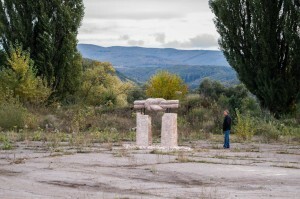 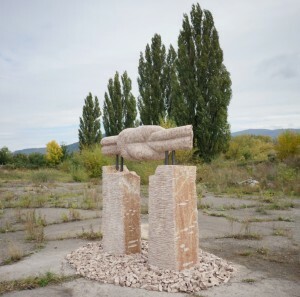 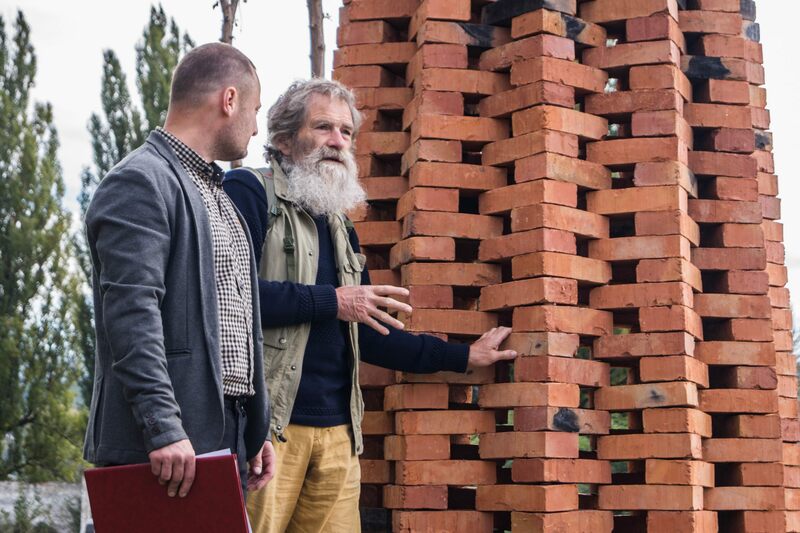 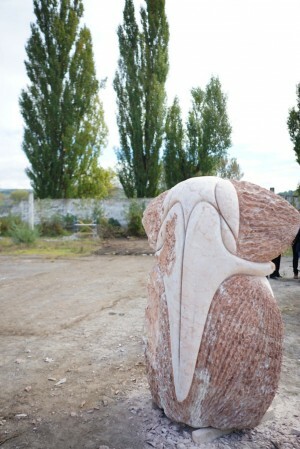 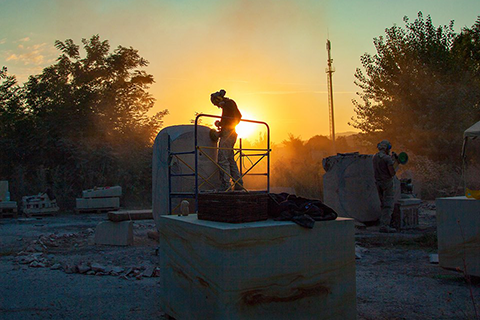 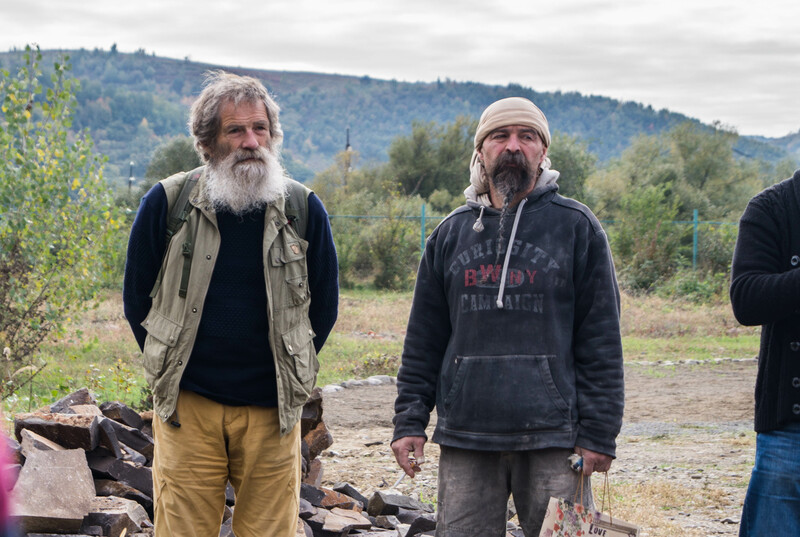 And, this work will be installed in the native village of the artist – Veliatyno. 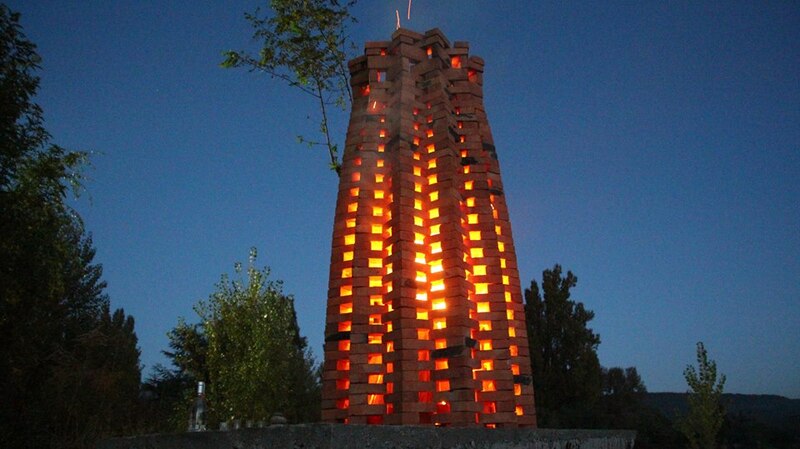 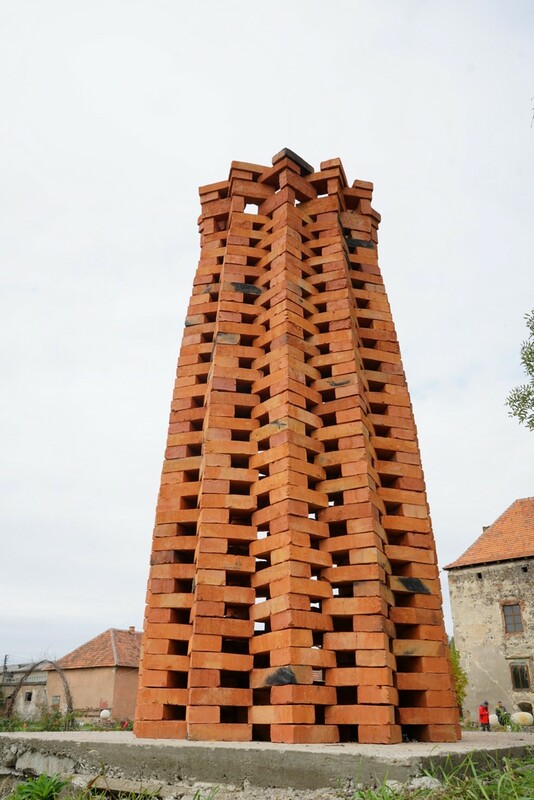 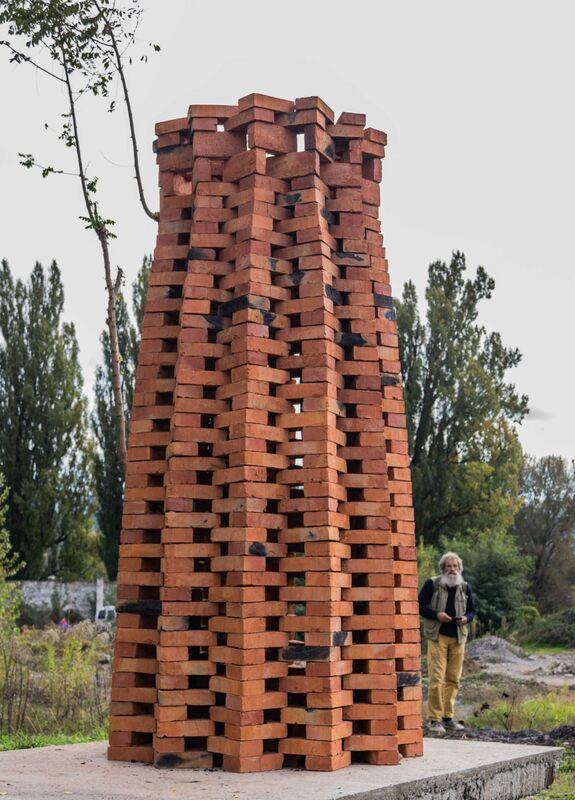 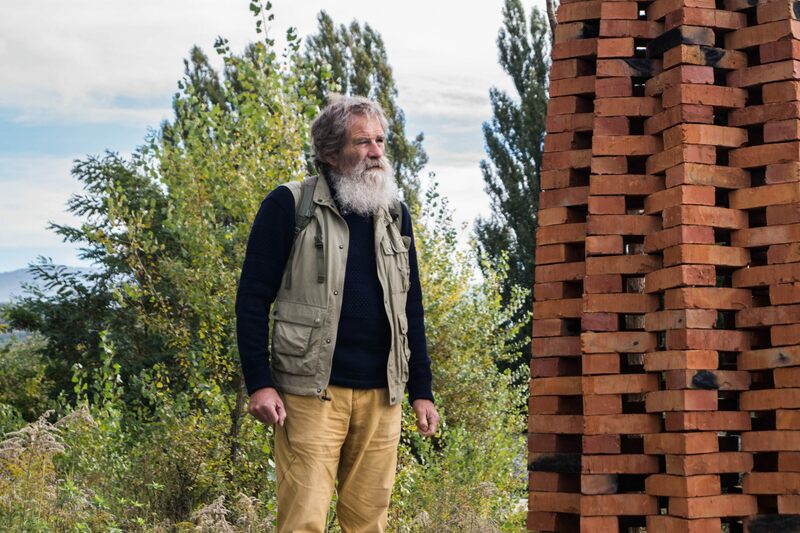 A Danish participant built a high red brick tower of 5 meters high next to the castle. 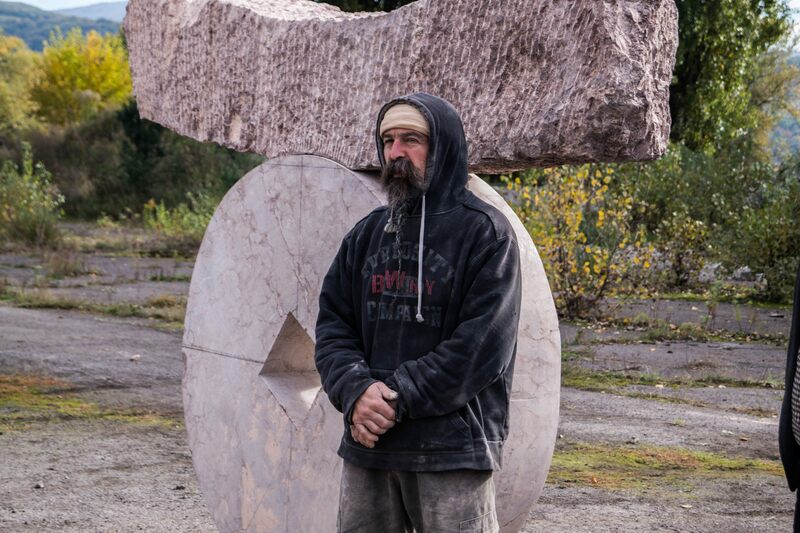 The sculpture symbolizes the fact that teamwork on a common idea can create something great. 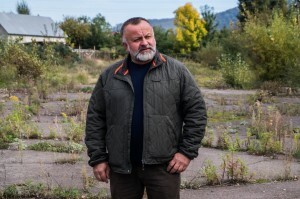 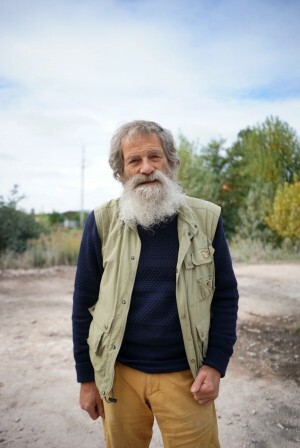 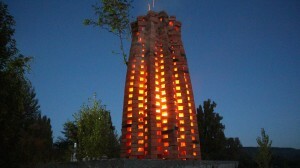 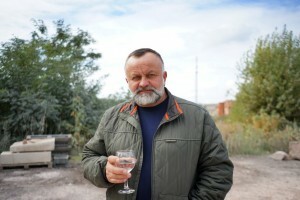 The work of the author will remain in Chynadievo. A sculptor from Iran Saeid created a work depicting two wrestlers who form a bridge. 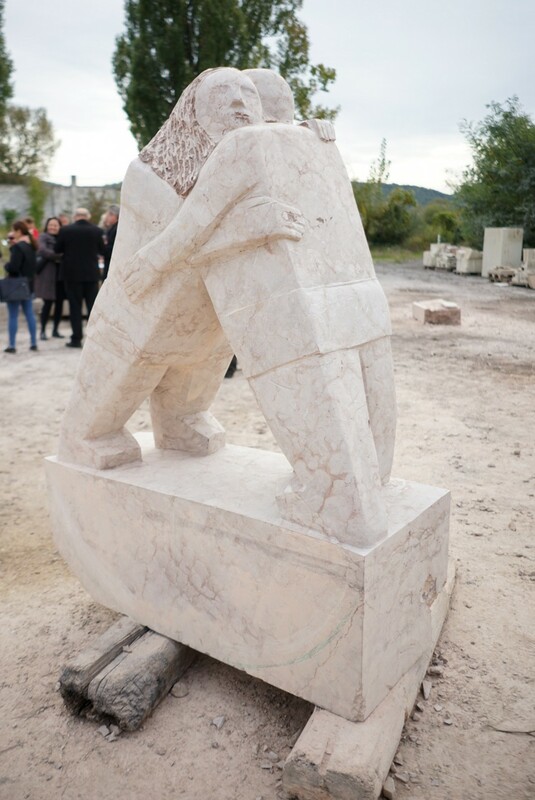 The artist explained that the pure struggle is noble, and the fighters, despite the tension between them, are the support for each other. 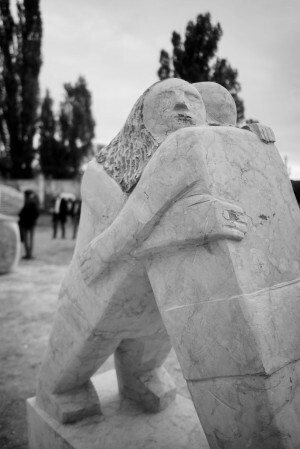 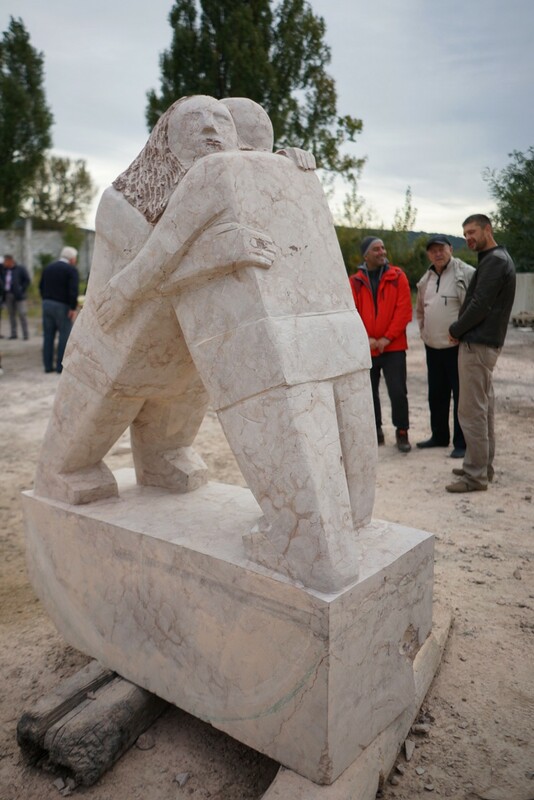 The sculpture itself is an abstract figure, symbolizing cities – balance, simultaneous struggle and reconciliation. 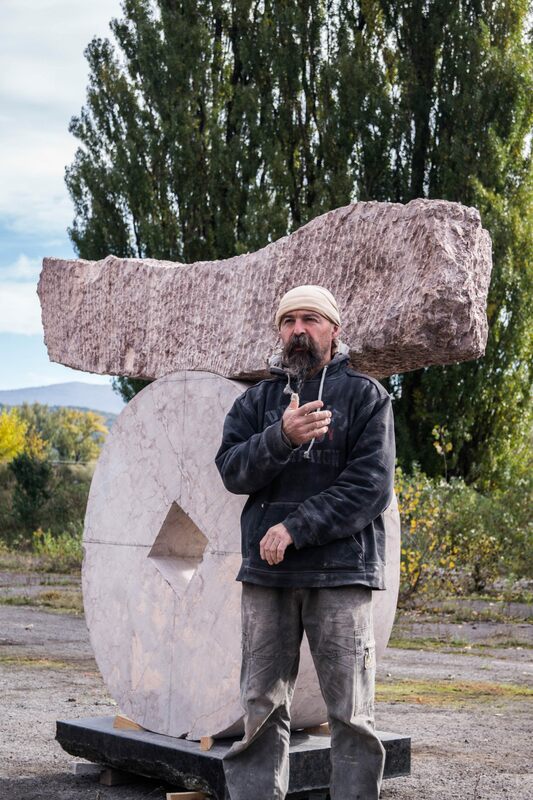 The next participant from Poland usually works with wood, but this time he created a stonework. His sculpture consists of two parts, where the first one symbolizes water under the bridge, and the second one - the bridge itself. 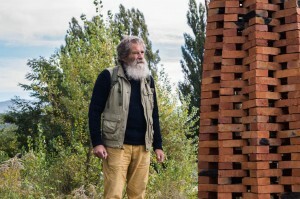 Hence, the name of the work "Under the bridge". 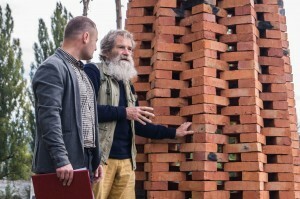 For the author it is important what happens exactly under the bridge, but not on it. 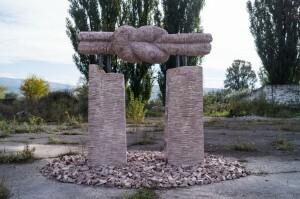 The sculpture is a little comical, as there are fish under the river and the bridge itself is depicted in the form of a knot symbolizing the relationship between people. 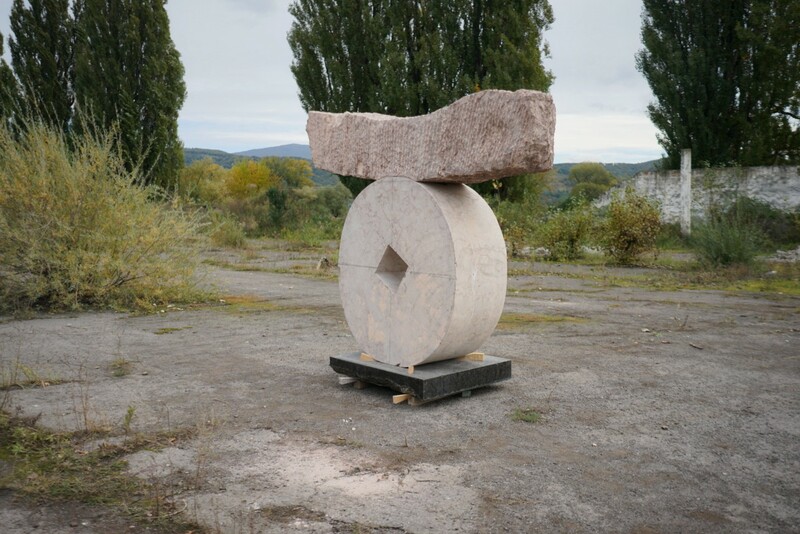 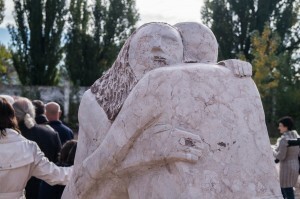 The work of the Hungarian artist is a circular statue on a shaky basis, a symbol of the unity of peoples and nations. The work itself depicts communication between people and need to preserve it. 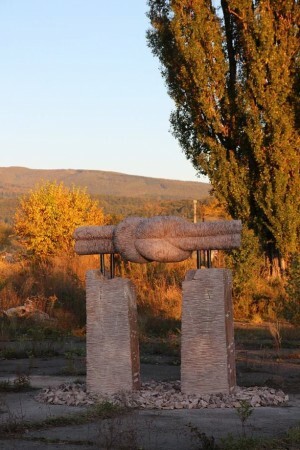 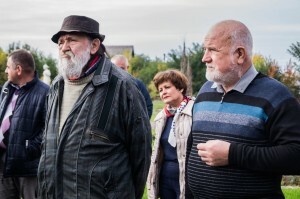 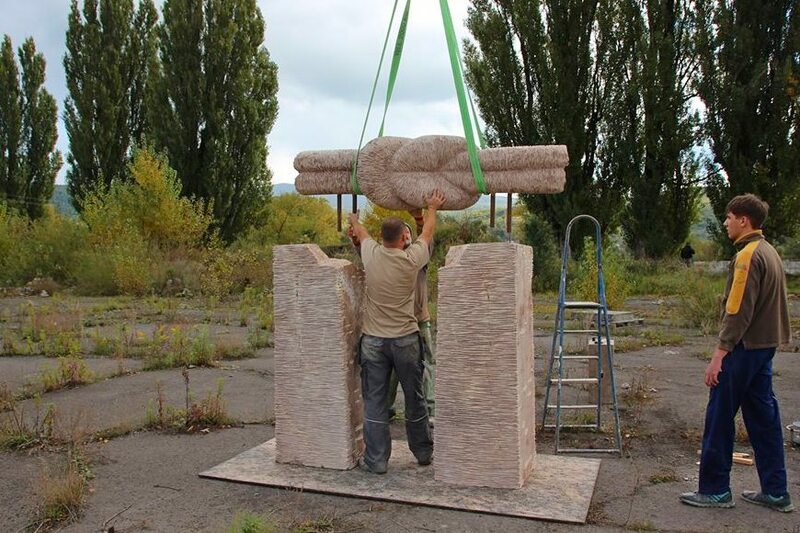 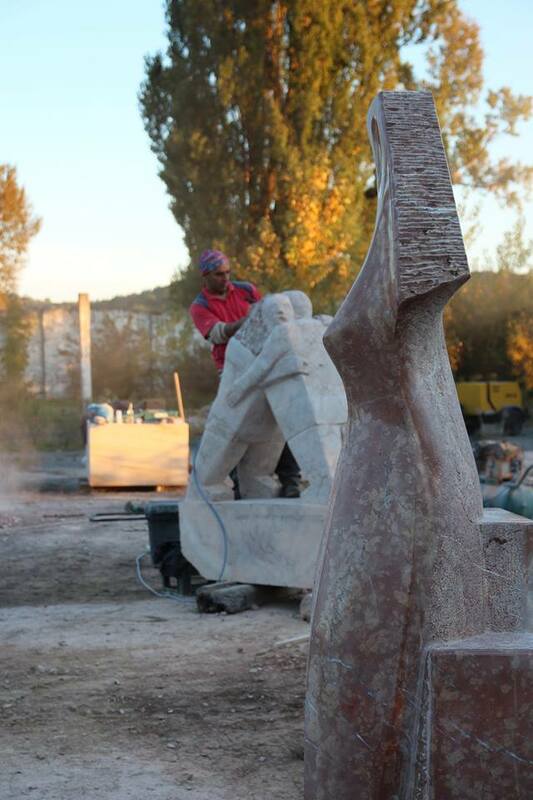 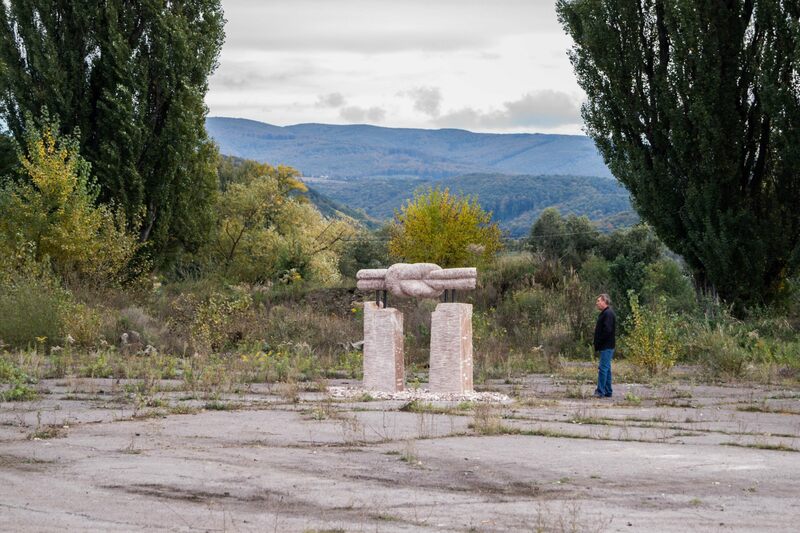 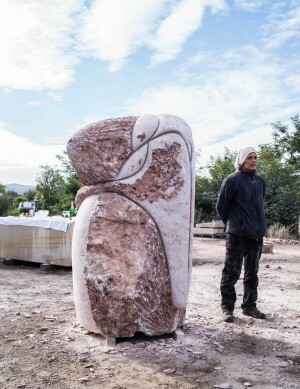 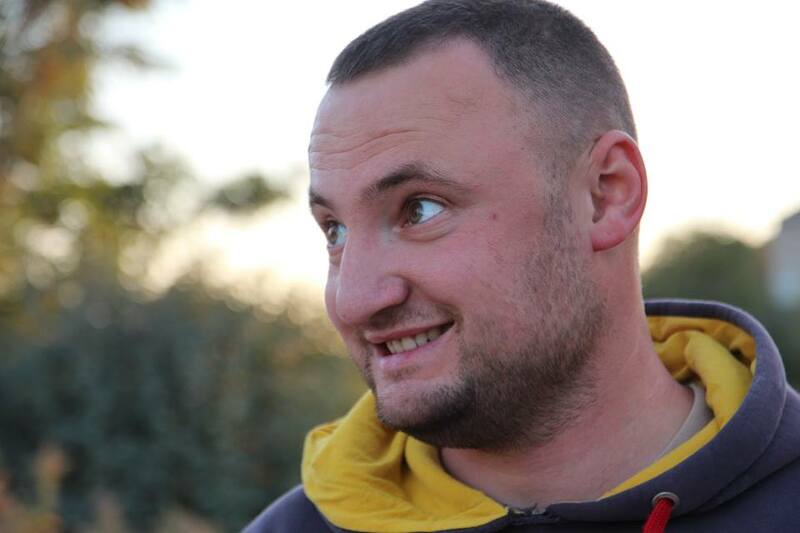 The sculpture will be installed in Palad-Komarivtsi village. The decoration of the men's team is the only female participant from Spain. 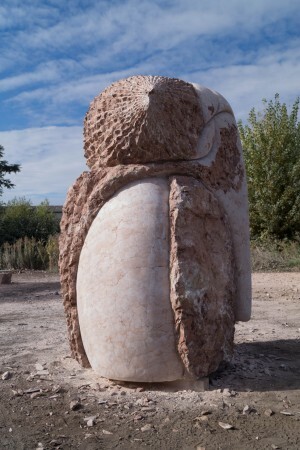 Her work - a bird with seeds, symbolizes the time when everything in nature was a single whole. 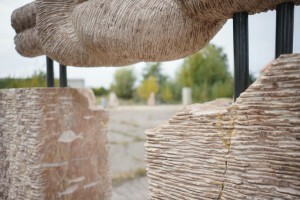 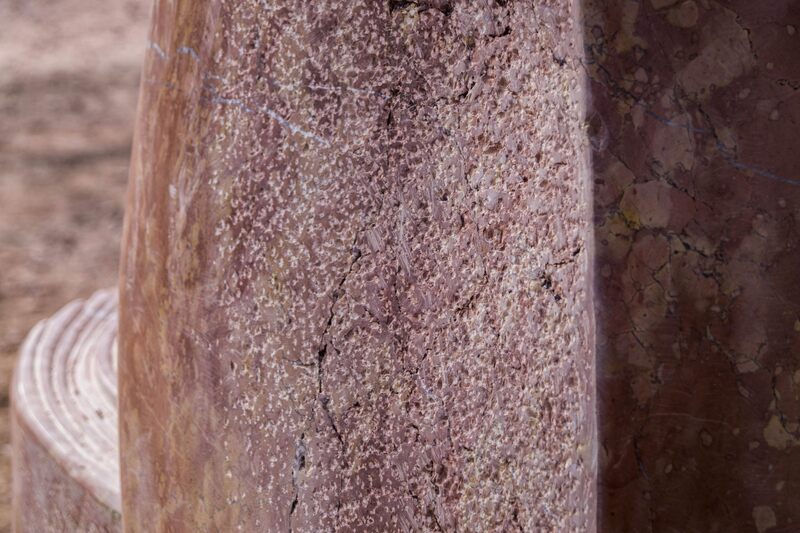 That is why the author tried to give such a texture to stone in order to recreate the effect of a thousand years old. This bird has four eyes and looks at all four sides, where it can fly away. 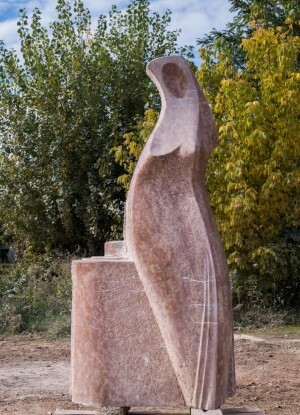 A bird is a symbol of freedom that needs development. An unchanging tradition of the art event is to present one of the compositions to Transcarpathia. 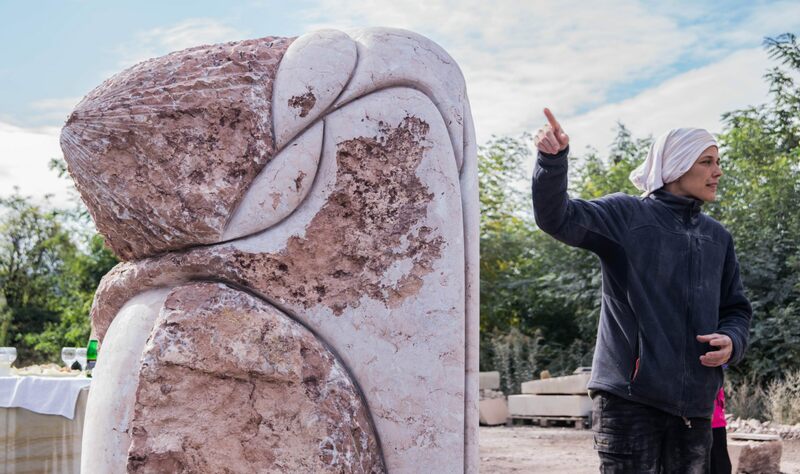 "The goal of this event - the development of not only art but also of rural tourism - the major organizer of the symposium, known within the region sculptor Petro Matl said. 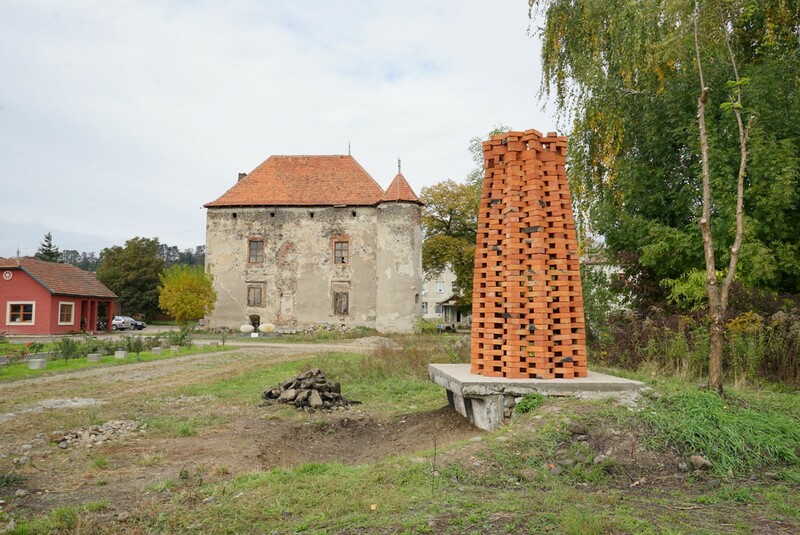 Every time we give works of art to Transcarpathian villages, thus making them more attractive for tourism. 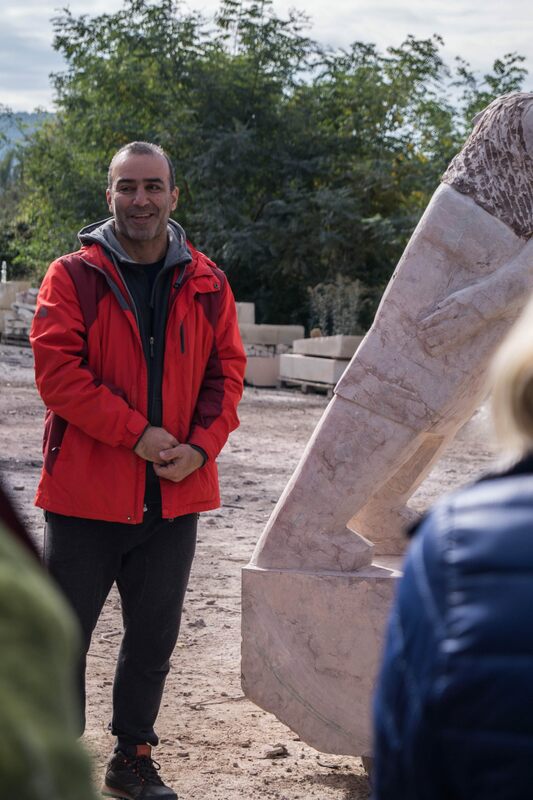 Over the past 6 years, we have been trying to create a cultural centre in the region, in the places where there is no opportunity to acquire a work of art. 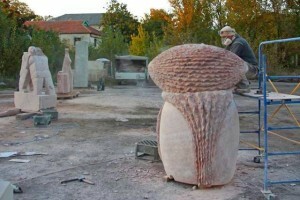 During the last three years, it was presented 21 stone works." At the opening, the organizer of the symposium Petro Matl noted that “Today, art emigrates from Ukraine. So it's time to bring it back to our country”.